Holiday baking is glorious. Fabulous tastes, beautiful tins and wrappers, smells that take you back to your childhood Christmas. The holidays are also a time to spread joy and give gifts. 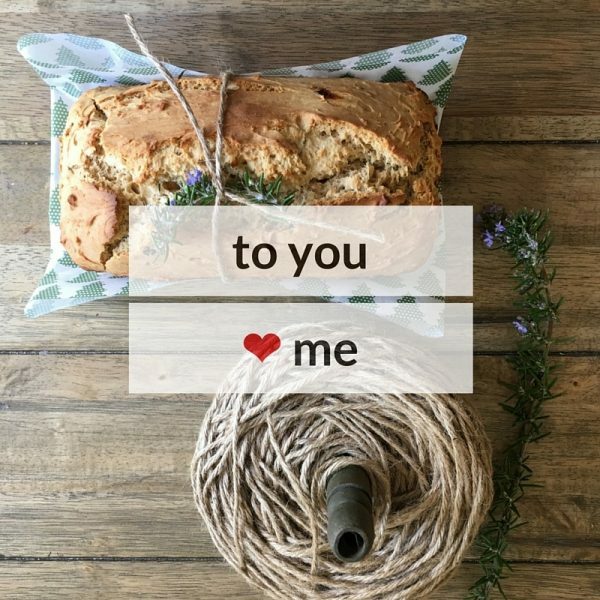 What better gift than a homemade quickbread made with love and wrapped with care. Since I may have overdone the pumpkin (if that were even possible), I decided to create a slightly sweet and slightly savory bread aromatic with rosemary and moist from honey. This can be a canvas for anything from cheese to cashew butter or “just” extra honey. One of my favorite recipes is a rosemary chocolate chip cookie that I make for potluck every Saturday. 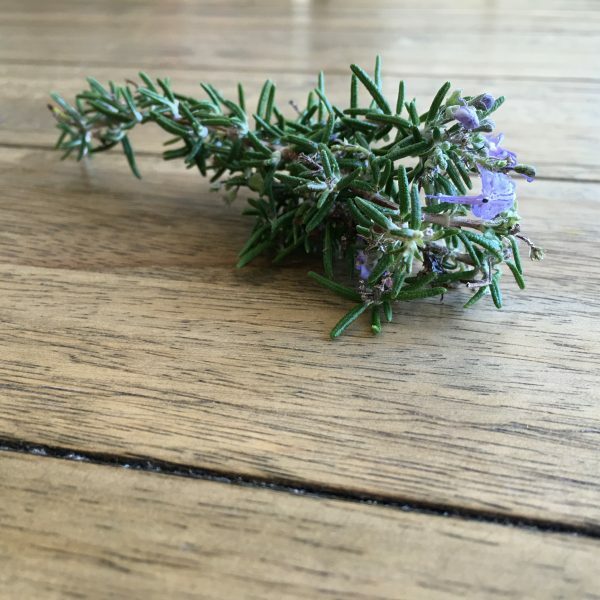 It inspired me to use fragrant rosemary in this bread for the pleasant taste and smell that pairs exquisitely with honey – my favorite sweetener neck and neck with maple syrup. One inhale and you’ll see what I mean. 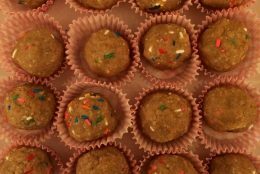 When everyone is giving and being gifted sweet cookies, candies and cakes, I’ll be sharing this delightfully delicate gluten-free bread. I wrap it in parchment paper (cute patterns are always a plus) and twine. 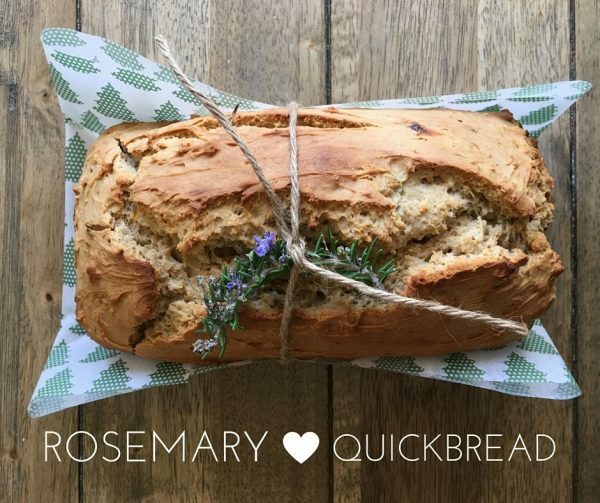 A fresh rosemary sprig from our garden gives you a hint that this quickbread is extra special. 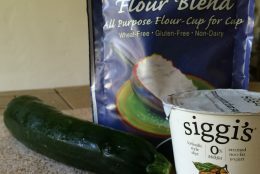 Add all dry ingredients to a medium sized bowl and whisk to combine. In a separate bowl, add all the wet ingredients and mix well. Add the wet ingredients to the dry ingredients and mix until thoroughly combined. Pour into a greased 9″x5″ loaf pan. Smooth out the top and place on the middle rack in your oven. Bake for 50-55 minutes or until a toothpick comes out clean, rotating halfway through. Cool for 5 minutes in the pan before removing to a cooling rack. Triple Chocolate Protein Mug Cake and Sunwarrior GIVEAWAY! 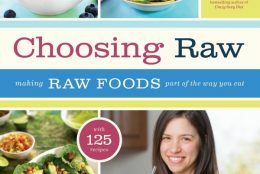 Love that you took a more savory approach to this month’s ReDux. And that cracked top of the loaf — gets me every time! Would be delicious with a little honey butter.